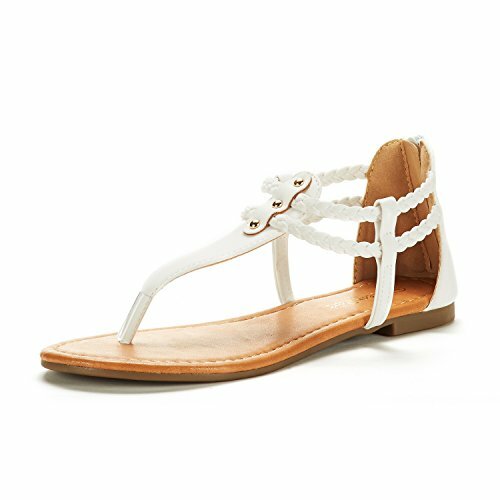 This stylish gladiator flat sandal features an open toe silhouette, crisscross straps design vamp, and rear zipper closure. Finished with lightly padded insole for all day comfort. Open-toe silhouette with thong post. Stylish gladiator vamp with back zipper closure.